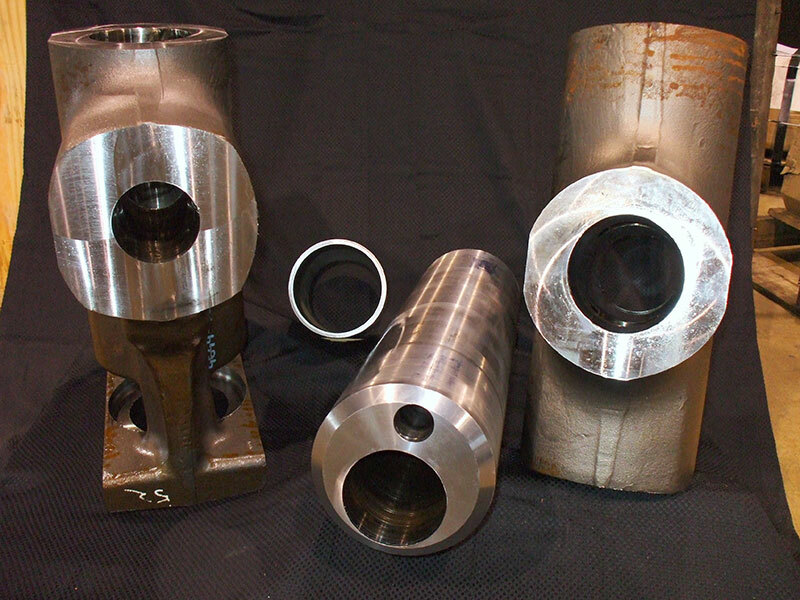 At Midwest Precision Manufacturing, we specialize in deep hole boring & drilling services, offering a variety of drilling methods to meet customer needs. Whether you have a one piece prototype or a large production run. You can trust us to meet your deep hole needs and deliver quality results. Just a few of our capabilities include BTA/STS & Ejector drilling, counterboring, and trepanning. BTA drilling utilizes an external coolant system with internal chip removal to efficiently and accurately drill larger holes than can be achieved via gun drilling. 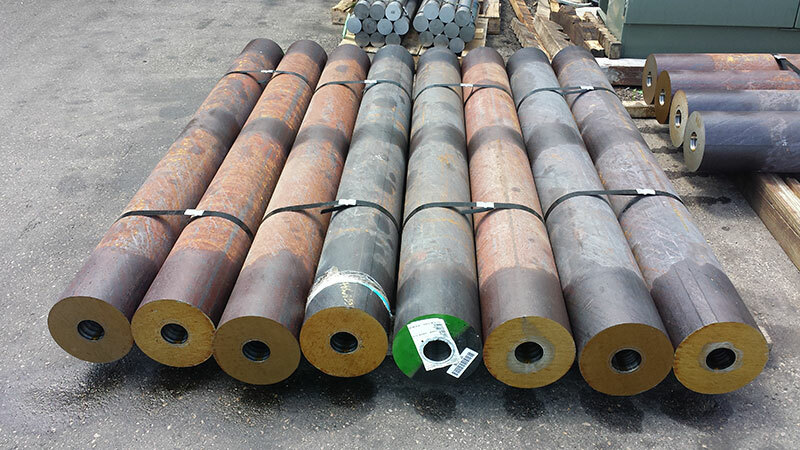 Counterboring is used to widen and straighten existing holes and can be economically used to produce straight holes in existing stock tubing. Instead of using a drill bit, trepanning cores a solid round bar, resulting in a bored part as well as a leftover solid core. Trepanning preserves more of the raw material and is therefore more economical when expensive alloys such as Incoloy or Monel are specified. By offering multiple types of deep hole boring & drilling options, the optimal process can be chosen depending on the material, geometry, and volume of each application. 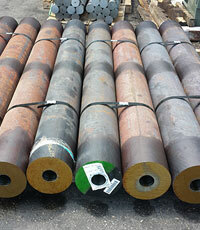 Industry standard tolerances of 0.001" of drift per inch of drilling can be held on most parts. 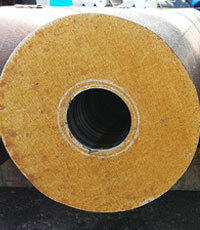 Hole types include angle, blind, cross-cavity, and offset holes up to 10" in diameter. Our advanced deep hole boring equipment has the chucking capacity to hold work pieces up to 25" in diameter and overhead cranes can lift pieces weighing up to 10 tons. Honing can also be used to further refine tolerances and surface finishes. 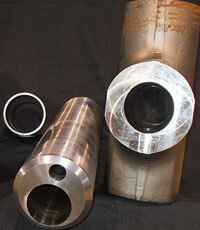 Why Choose Midwest Precision Manufacturing for Deep Hole Boring & Drilling Services? We have built our business with one simple mission. As a full-service Deep Hole boring and drilling company, we strongly believe that providing world-class quality combined with exceptional service is the key to building long-term customer relationships. In today’s fast-paced economy, keeping up with the latest and greatest deep hole drilling technology is crucial to stay competitive. 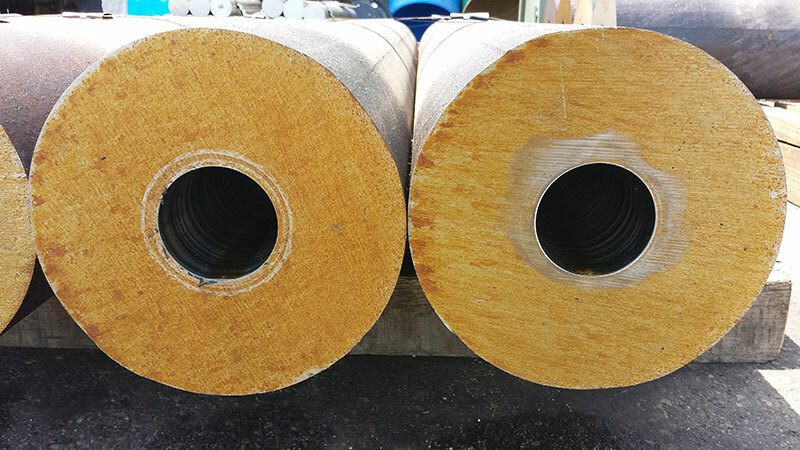 By investing in state-of-the-art equipment and machinery, we are able to improve our quality assurance strategies, ultimately providing customers with exactly what they need. From beginning to end, we are dedicated to ensuring your complete satisfaction. At Midwest Precision Manufacturing, we are truly experts in the Gundrilling, DeepHole Boring & Honing industry. Centrally located just north of Milwaukee in Fredonia, WI, we are one of the Midwest’s leading gundrilling & honing companies. To ensure your total satisfaction, most of our Gundrilling, DeepHole Boring & Honing can be completed with quick turnaround times. Expidited services are available. We will work with you to meet your needs. . For more information about our deep hole boring services, see the table below, or contact us directly.